It will show you not only what to expect of your dog but what your dog can expect of you. Full of information about using the right commands and utilizing the Dummy-Launch, a training device co-developed by the author, this how-to guide will make training easy, fast, and fun—for you and your dog. 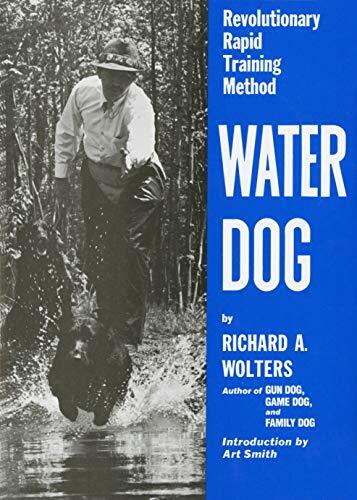 RICHARD A. WOLTERS was a leader in applying the scientific discoveries of animal behaviorists to dog training. His books on training—Game Dog, Water Dog, Gun Dog, Family Dog, and Home Dog—are recognized as classics in their fields. His historical book, The Labrador Retriever: The History...The People, was chosen as Best Dog Book of the Year by the Dog Writers Association of America. In 1984 the DWAA honored Mr. Wolters as both Writer of the Year for Game Dog and Columnist of the Year for his popular column “Gun Dog” in Gun Dog magazine. Well-known for his lectures and seminars on retriever training, Mr. Wolters also was a president of the Westchester, New York, Retriever Club, as well as a vice president and director of the North American Hunting Retriever Association, which he was influential in founding.